The Canadian edition of The Huffington Post has published an article on the value and possibilities offered by sharing. It begins badly, improves a little before descending back into error. The headline claims that “Alexander the Great Would Probably Have Used Uber”. He would have done no such thing. Alexander was not interested in sharing. He declined to share power with Darius III (e.g. Diodorus XVII.39, Justin XI.12) and got angry when Hermolaus stole the chance of glory from him during a hunt (Arrian IV.13, Curtius VIII.6.7). Alexander could be a very generous man but he was the king and acted like it. Enter the Library of Alexandria. As Alexander the Great consolidated his control of the ancient world, he tasked Ptolemny Lagides (one of his leading generals) with “collecting all the worlds’ knowledge” and then sharing it with scholars, royalty, and wealthy bibliophiles throughout the world. 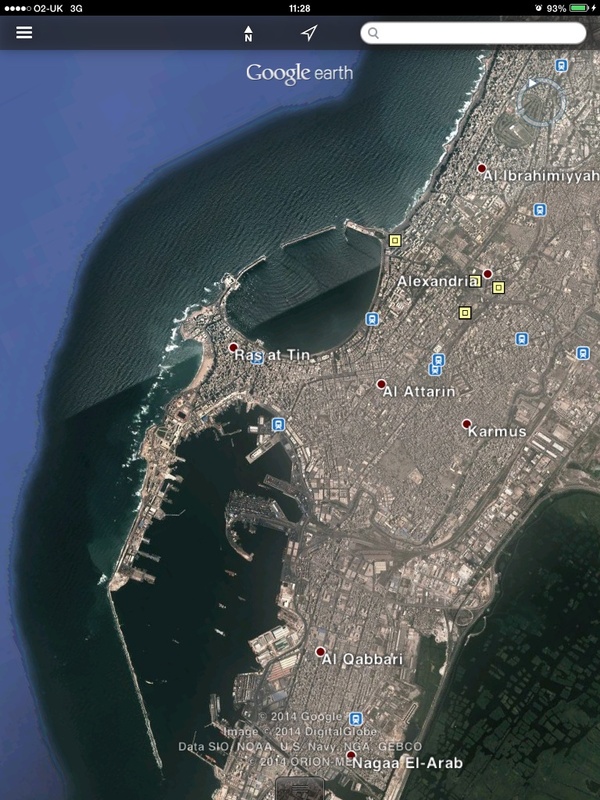 At its peak, the library of Alexandria contained over 400,000 manuscripts. “Enter the Library of Alexandria”. As the first paragraph begins ‘In the third century BC…’ we are now under the impression that this is when Alexander lived and the Library was formed. In fact, both were products of the fourth century B.C. I don’t know if Alexander himself ordered the Library to be built or if it was Ptolemy I’s (not Ptolemny) idea, but I do know that Alexander did not order (‘tasked’ in the ugly modern parlance) the son of Lagus to build up the Library’s collection of books and share it with others. During his stay in Egypt, Alexander ‘designed the general layout of the new town’ (Arrian III.2) but there is no record of him assigning posts for particular institutions. Having said that, absence of evidence is not evidence of absence so he may well have said to Ptolemy ‘When we return, you will be in charge of the Library…’ but I think this possibility can be rejected because in 331, when Alexandria was founded, Ptolemy was still a junior officer. It would be nearly two years (late 330 B.C.) before he would become one of Alexander’s ‘leading generals’, after replacing a soldier named Demetrius in the Royal Bodyguard. Before then, his greatest claim to fame was the fact that it was his lover, Thaïs, who incited Alexander to burn down the Royal Palace in Persepolis. This happened in early 330. By-the-bye, I don’t think that the librarianship would have gone to a soldier, anyway. As the library was part of a greater institution which included a temple, I believe a priest was its ultimate head – I am open to being corrected on this, though. So much for Alexander ordering Ptolemy to build the library and share its knowledge. But could the latter have decided to share its books ‘with scholars, royalty, and wealthy bibliophiles throughout the world’ anyway? Once the Library became operational*, Ptolemy’s policy was either to buy books or seize those on ships arriving in Alexandria. They would then be copied, and it would be the copy that was given back to the owner. If scholars wanted to study the originals, they had to come to Alexandria. To the best of my knowledge, the books never travelled abroad. Ptolemy’s intention fell little short of an attempt to monopolize Greek literary and scientific culture. This isn’t a surprise. Knowledge, as they say, is power, and Alexander’s successors were all about amassing as much power as they could and holding onto it with extreme tenacity. They were selfish, yes, but the years following Alexander’s death were also a fight for survival. Kill or be killed. And perhaps, just perhaps, Ptolemy genuinely believed that Alexandria was the best place for these books to be. Given how unstable Greece and the Near East was, but how little Egypt suffered in the Wars of the Successors, he was probably right. Finally, the article claims that the at its peak the Library held ‘over 400,000 manuscripts.’. We don’t know how many books were kept there but it is possible that the Huffington Post writer has short-changed the Library slightly. In Dividing the Spoils, Robin Waterfield states that it ‘is possible that [the Library] came to hold well over half a million rolls’ (this doesn’t mean it had 500,000+ individual books in its possession. Waterfield notes that one book could take up multiple rolls). It seems to me that the writer of The Huffington Post article has fictionalised Alexander for the purpose of his article. His by-line invites readers to ‘become a fan’. I am sure he is second to none when writing about his specialist subject of technology, but my support for him would be stronger if he leaves classical history alone until he has done more revision. His profession demands much more than he has given his readers. 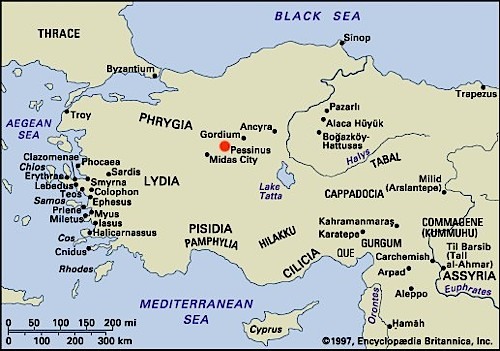 After making good his escape from Issus, Darius wrote to Alexander offering him the hand of his daughter Stateira II and Asia Minor west of the Halys River. … like the birds wafted up to the sky by their natural lightness, Alexander would also be carried away by the vanity of his youthful mind – nothing was more difficult than keeping control of great fortune at his age. In his response, Alexander told the Persian messenger ‘that Darius was promising him property which was not his to give’. As for the ‘property’ that remained in Darius’ hands – Alexander dealt with that by giving a sinister version of Ruth 1:16. Wherever he goes, Alexander told the herald, I can follow. Finally, Alexander swapped Darius’ avian metaphor for an aquatic one. The Great King, he told the messenger, ‘should stop trying to frighten with rivers a man whom he knew to have passed over seas’. After leaving Tyre, Alexander’s next major action was a two month siege of Gaza. From the Book of Ruth we fast forward to Matt. 7:24–27 and Luke 6:46–49 and the parable of the house built on rock. 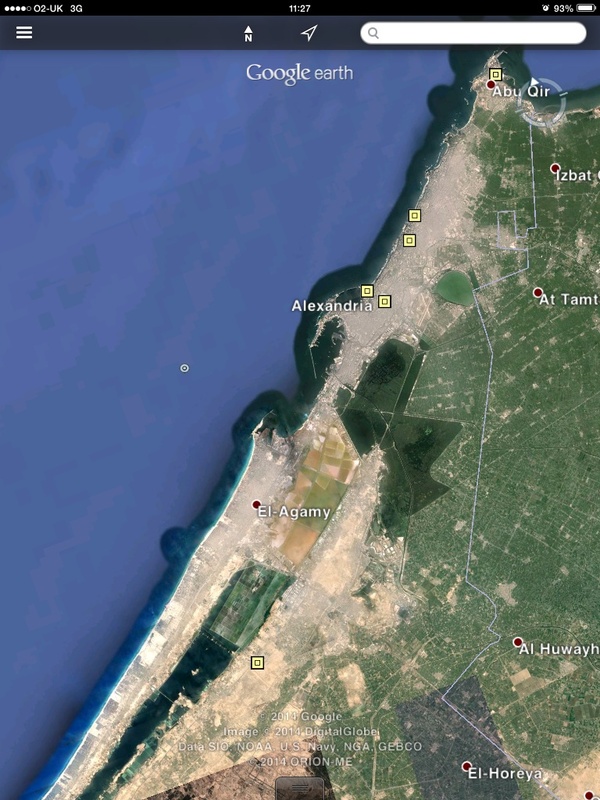 When Alexander inspected Gaza, he found it to be akin to the house built on sand in that there was a lack of rock and stone underneath it. So, he ordered his men to undermine the city by digging shafts and tunnels. While the digging was going on, Alexander carried out a sacrifice. During it, he was struck by a clod of earth dropped by a passing crow. Avian metaphors could be ignored, but not avian actions. What did this one mean? Aristander’s reply was very unwelcome. The omen predicted ‘that the city would be destroyed’ but that ‘there was also [a] danger that Alexander would sustain injury’. Aristander therefore advised his king to ‘take no initiative that day’. Reluctantly, Alexander agreed. Events conspired, however, to plunge him into action. Seeing the Macedonians withdraw, the Gazans decided to launch a sortie against them. During the counter-attack, Alexander was shot in his shoulder by an arrow. Alexander was still recovering from this injury when he undertook another earth-moving project. Gaza stood on a mound (or hill?). To reach its walls, Alexander ordered the construction of a mound. Tall siege towers were rolled up it. The towers were so high the Macedonians were able to fire missiles down into the city. What did for Gaza, though, were the shafts and tunnels. The shafts that Alexander had ordered to be dug caused the city walls to collapse. Led by their king, the Macedonians poured into the city. It was quickly taken and its governor, Batis, would soon die by being dragged round Gaza’s walls just as Hector’s body had been dragged in front of Troy all those years ago. The fall of Gaza opened Egypt up to Alexander, and it welcomed him with open arms. After settling the country’s administrative affairs he made his famous trip to Siwah. Curtius vividly describes the difficult journey to the oracle of Ammon. Alexander and his small company of men rode through ‘vast stretches of naked desert’ which disoriented the eyes. Curtius refers to the fact that ‘no tree was to be seen [nor] a trace of cultivated soil’. In a ‘vast sea’ of shifting sand dunes this made locating oneself impossible. Worse was to come when the Macedonians ran out of water. The men’s throats ‘were dry and burned’. Suddenly – perhaps in recompense for causing Alexander such trouble at Tyre – ‘clouds shredded the sky and hid the sun’. The temperatures cooled. Presently, ‘high winds… showered down generous quantities of rain’ which the men collected with the skins and by opening their mouths to the sky. ‘After four days in the desert wastes’, Alexander and his men were met by ‘a number of crows’ which guided them the rest of the way to Siwah. What is it about crows and Macedonians? Curtius only gives us some specific details about Siwah Oasis. He says that Ammon’s shrine ‘is so well screened on all sides by encircling tree branches that the rays of the sun barely penetrate the shade’ and that the oasis woods ‘are sustained by a wealth of fresh-water springs’. Curtius also adds that the oasis’ climate is ‘amazingly temperate… providing a healthy atmosphere’. He also tells us about the Water of the Sun – the fountain that (to this day) gets cooler towards midday and hotter at night. For more about the fountain and Siwah, here is what I wrote when I read Diodorus’ account. According to Curtius, Alexander founded Alexandria after his visit to Siwah. At first, he wanted to build the city on the island of Pharos but following an inspection of its ‘natural features’ he decided to locate it on the mainland instead. It appears that Pharos was too small for ‘a large settlement’. We pick the story up again with Alexander now in Mesop0tamia, on his way to Gaugamela for his final showdown with Darius III. On hearing that Alexander was approaching, Darius ordered his general Mazaeus to ‘lay waste and burn’ the ground in front of the Macedonians. Mazaeus did as he was ordered but the time for such a policy had long since passed. Alexander had greater trouble crossing the fast-flowing Tigris than he did with provisions. After giving Mazaeus his orders, Darius marched to the Boumelus River* where he pitched camp. Before him was a wide open plain – the perfect battlefield for his large army. It was a little uneven, though, so the Great King ordered the ‘protrusions in the flat land to be levelled and any higher ground to be completely flattened’. As we have seen in this series, natural phenomena have played a significant role in the account of Alexander’s journey. In the early hours of 20th September 331 B.C. they played their most important part yet. That night, the moon became pale and then ‘suffused with a blood-red colour’. … the grandiose plans of one man who despised his country, disowned his father Philip, and had deluded ideas about aspiring to heaven. ‘Mutiny’ Curtius says gravely, ‘was but a step away’. As the Notes say, he is exaggerating but there was ‘clearly already an undercurrent of resentment against Alexander because of his pretensions about Jupiter Ammon’. That, however, is for another post. In this one, we may say that Alexander called his generals and officers together before ordering his ‘Egyptian seers’ to tell him what the eclipse meant. … the sun represented the Greeks and the moon the Persians, and that an eclipse of the moon predicted disaster and slaughter for those nations. Their interpretation was accepted and the soldiers’ anxiety eased. Now, they just had a battle to win. I subscribe to Google Alerts and every day (or there and there abouts) receive an email that lets me know where ‘Alexander the Great’ has been mentioned on the web. Not all the references to him are of any use – I have lately received one e-mail that linked to a rapper using Alexander’s name – but occasionally an e-mail will come back with one or more links that deserve being more widely known about. I will gather them together and every week or two blog them here. The following account of the foundation of Alexandria is not historical. It comes from The Life of Alexander of Macedon (Longmans, Green and Co. 1955) by an unknown author named Pseudo-Callisthenes. According to the translator, Elizabeth Hazelton Haight, the Life was written around c. AD 300 although it is likely based on much a much older text dating, it seems, to just after Alexander’s death. [Alexander] directed that the digging of the foundations should proceed only in one place, namely exactly where a great hill appeared which is called Kopria. And when he had prepared the foundations of the greatest part of the city and planned it, he inscribed five letters Α Β Γ Δ Ε, Α for Alexander, Β for βασιλεύς (king), Γ for γἐνος, (son), Δ for Δίος (of a god), and E for the initial of the phrase beginning ἔκτισε (built the city). Shall all the tribes barbarian subdue. And have a longed-for city, queen of the world. Famed for its beauty, size, inhabitants. Forgetful of the land where he was born. Receive obeisance and the gifts of kings. In life and death. The city which you built. As I write these words it is nearly 10pm on a Friday evening. I have not left myself much time to write anything substantial. That may be a relief to you as my last couple of posts have been rather word heavy. Instead of a long post, therefore, I thought I would share with you a poem by C. P. Cavafy who lived in and loved Alexandria. In keeping with the theme of the last couple of days, the poem I have selected is dedicated to Ptolemy I Soter. (through my power and wealth) of sensual pleasure. is really a joke with his cheap lechery. genius of all knowledge, of every art. A couple of thoughts – I think Cavafy is being a little unfair to Ptolemy I who was not known for being a hedonist. The first Ptolemy to live that kind of life was Ptolemy IV Philopator. The last three lines of the poem obviously refer to Alexandria. Cavafy is perhaps being a little anachronistic in describing her in such fine terms. The city did not reach the heights of its existence until the reign of Ptolemy II Philadelphus. Who is Selefkos? I don’t know for sure – could it be an alternative spelling of Seleucus? Unfortunately, I do not know enough about his son(s) to be able to say for sure. I found The Glory of the Ptolemies on the official C. Cavafy website. There are some really lovely poems there that are very well worth reading. Alexander the Great’s final resting place is a matter of enduring mystery. 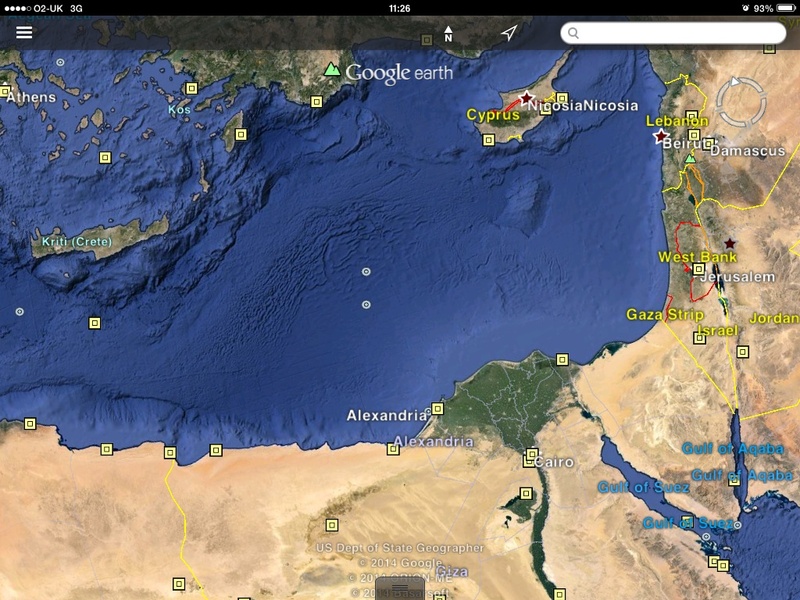 As is well known, Ptolemy stole his body in 322/1 BC while it was being taken back to Macedon for burial. He interred it in Memphis and it remained there until either he or his son, Ptolemy II Philadelphus, relocated it to Alexandria. The body was lost sometime between the early third and fifth century AD. Unless, or until, Alexander’s body is recovered interest in its fate will continue. Given that, I wonder why there is very little interest in what happened to the mortal remains of his best friend, and probable lover, Hephaestion. Before going any further, I must confess that up until now I have been one of those who was not interested. In fact, I don’t think the question ever even occurred to me. The only reason I am writing this post now is is because a few weeks ago someone found their way to The Second Achilles by asking their search engine, ‘where did alexander the great put hepheastians remains body?’. If it was you who wrote that – thank you for inspiring this post. The short answer to the question of what happened to Hephaestion’s remains is that we don’t know. Before we speculate, let’s look briefly at what we do know. We know, for example, that Hephaestion died in Ekbatana in October 324 BC. Arrian tells us that Alexander had a funeral pyre built in Babylon for his friend at the cost of 10,000 talents – a staggering sum of money. After holding Funeral Games in Ekbatana Arrian says that Alexander rode south to Babylon with the funeral cortege. He gives no details about the funeral itself. Or even if it took place. As a result he is also silent about what happened to the remains. … ingenuity and originality of the design to surpass the expense[;] he was especially anxious to employ Stasicrates, as this artist was famous for his innovations, which combined an exceptional degree of magnificence, audacity and ostentation. We can certainly take from this that Hephaestion’s funeral would not have taken place in 324. What about in the first half of 323? i.e., before Alexander’s own death in June. … Alexander threw himself into preparations for the burial… He showed such zeal about the funeral that it not only surpassed all those previously celebrated on earth but also left no possibility for anything greater in later ages. So, as far Diodorus is concerned is the funeral did take place. In his biography of Alexander, however, Robin Lane-Fox suggests two things i. that the pyre might actually have been a monument (the Greek word ‘pyra’ can refer to one or the other) and ii. what Diodorus presents as a fact may just have been a ‘rumour’. He notes that ‘no trace of this monument [pyra] has been found’. One major source is left to us: Curtius. Unfortunately, he seems to ignore Hephaestion’s death altogether, referring to it only in passing after Alexander’s own demise*. And as far as I am aware, that’s it. Thats the limit of our knowledge regarding the fate of Hephaestion’s body. He died. His body was taken to Babylon. Was he buried? Or cremated? We don’t know, and to be honest I don’t think we have enough information to make an educated guess on the matter. That needn’t stop us from making an uneducated guess, of course, so here goes. My feeling is that Hephaestion’s funeral didn’t take place – at least, not in the fashion that Alexander wanted. Eight months was not enough time to prepare for it. I imagine that after Alexander’s death, his body would have been quietly cremated according to the usual Greek practice and the ashes deposited somewhere in Babylon. Had anything untoward or unexpected happened to his remains I believe someone would have written about it. In the febrile atmosphere of the diadochi period it would have suited someone to accuse anyone who had mistreated his body or ashes of doing so. Those are my thoughts; what do you think? In the early third century BC, a Babylonian king (I believe Antiochus I Soter but do let me know if I am wrong), transported nearly all of Babylon’s population to Seleucia. Only a few people remained behind. By the middle of the second century BC the city was finished as a going concern. All that was left to happen was for her surviving buildings to crumble and fall. It would be nice to think that somewhere under the site of Babylon, Hephaestion’s remains lie undisturbed; nestled, perhaps, in a golden coffin or urn. This is just a dream, though. Just as Alexander’s gold coffin was later appropriated to give a Ptolemaic king more money, the same would have happened to Hephaestion’s. No, I imagine he had a normal coffin/urn and wherever it rested, it did so in obscurity – people’s memories are short and the Seleucids had no reason to promote his cult – until the decay of the city brought about – or simply concluded – the remains’ own decay.